If you’ve read my Droid2 review (or anything I’ve previously written/tweeted regarding Android) you know that I’ve always been a supporter of the Android platform but felt the technology too nascent and inconsistent in its earlier iterations. I am the type of person who needs a phone that simply works and until now, the clear front-runner for me was the iPhone due to its tight integration and execution at an OS level. Poor hardware, buggy software, and (my number one pet peeve) shoddy battery life are absolute deal breakers for me (and cropped up during several Android handset tests). I give whatever I’m doing 110% and I expect my phone will be able to keep pace throughout the day and night. Bottom line: This is the first Android-powered device that I could honestly say I would highly recommend for anyone looking for an Android alternative to iOS. 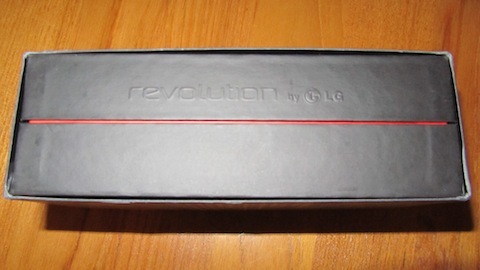 The LG Revolution came in a sleek, black box with an attractive crimson lining. The first time you handle the phone, your eyes are drawn to the tapered edges and sleek profile. For a large screen (and phone), it is surprisingly comfortable in the pocket. I noticed that the phone is solid, yet not overly heavy – it was barely noticeable in a suit jacket, shorts, dress pants, etc. Too often I find smartphones are either heavy and clunky or light and fragile. LG got the weight and feel perfect with the Revolution. The materials are well-joined and handsome without being in your face or overly chrome-y like some BlackBerries. The overall fit and finish impressed me before I even powered on the device. LG and Verizon are touting the Revolution as a multimedia powerhouse. With a 1Ghz Snapdragon processor, 4.3” capacitive touchscreen, 16 GB pre-installed microSD card and the LG L2000 LTE modem chipset- this phone roars through tasks like an enraged bull. 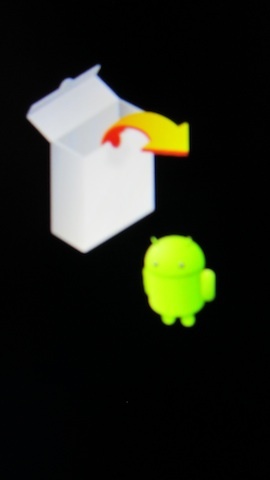 LG’s interface (which sits on Android’s base software) is mercifully lightweight. 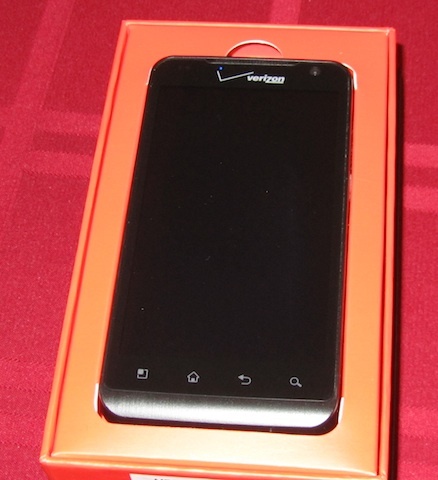 The phone includes a 5 MP camera with LED flash at the rear and a 1.3 MP camera in the front for video chatting. The cameras performed adequately and did not have any of the harshness or noise found in competitors. At no time during testing did I find the phone to be sluggish or unresponsive. On the contrary- the phone handled multiple apps, downloads, installs, even Netflix streaming with aplomb. As I mentioned above, the LG interface is blissfully efficient and stays out of the way. 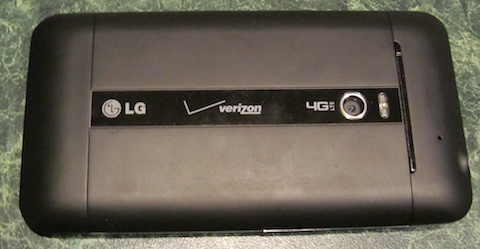 Twitter for LG and Facebook for LG are included along with a number of utilities (including the lovely VZ Navigator and 4G Mobile hotspot). 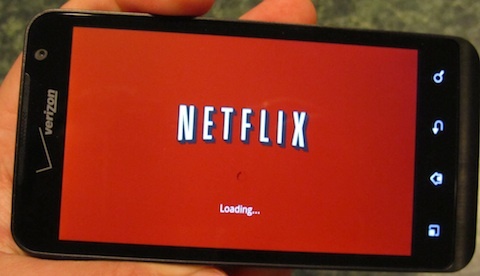 Of particular note- it is the first phone to have Netflix pre-loaded (although, upon initialization, it informed me that I needed to update the app before usage). Notifications are efficient and speedy and the system’s automatic backlighting and power management settings are transparent and work extremely well. I was slightly disappointed that the phone’s 1.3 MP front-facing camera could not be used with Skype mobile (which informed me that it was not available for my platform) but that’s Skype’s issue. LG and Verizon push this phone as a multimedia powerhouse, going so far as to link the marketing campaign with the upcoming Green Lantern movie. The Revolution includes Dolby® Mobile, Adobe Flash, an amazingly extensive image editor, and a pre-installed 16GB SD card. While the phone’s screen is bright and attractive, I noticed that during Netflix playback it would occasionally show colors as overly warm or with a yellowish- tinge but nothing that was overly noticeable. Pandora, Grooveshark, etc sounded great through the included speaker (if a bit quiet) and Dolby® Mobile allows for fantastic sound reproduction. This is my “do or die” category. I don’t care how amazing your phone is- if it can’t make it through the day without being plugged in 4 times, I have no use for it (Looking at you HTC Incredible and Motorola Droid2). I’m happy to say that the Revolution’s power management protocols and hardware did an admirable job of managing the battery. 4G LTE drains the battery faster than traditional 3G however I was able to stream an hour and a half of Netflix, send a number of emails and tweets (I tweet A LOT), and manage my day using the phone in a mix of 4G LTE and 3G environments. I ended my day (quite late) with approximately 15% battery life. I have no doubt that additional software tweaks could bolster that number further. Fast. 4G LTE is very, very fast. There’s really no other data necessary – I was able to download VZ Navigator’s 3D layer for Boston in a matter of minutes. Pandora, Netflix, etc never skipped or hiccupped and webpages displayed so quickly they I thought they pre-loaded on the phone. Hello, i feel that i noticed you visited my weblog thus i got here to go back the choose?.I’m attempting to to find issues to enhance my web site!I assume its ok to use a few of your concepts! !